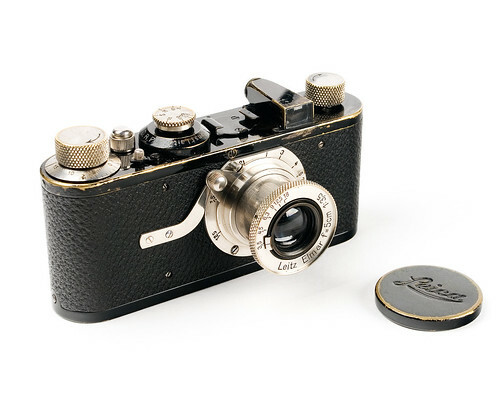 The Leica I (A) was introduced in 1925. First production batch of 174 Leica cameras had Anastigmat lenses. These cameras are in the list of most desired items for any Leica collector. Second batch of 1000 cameras was produced in the same year of 1925 and had Elmax lenses. These cameras are also extremely rare these days. Third, and most popular, Leica I(A) design had an Elmar lens. They were produced starting 1926 up until 1936. Total made approx 57,000. One more rare version had a Hektor lens. There were only 1330 of these cameras manufactured during 1930-1931. 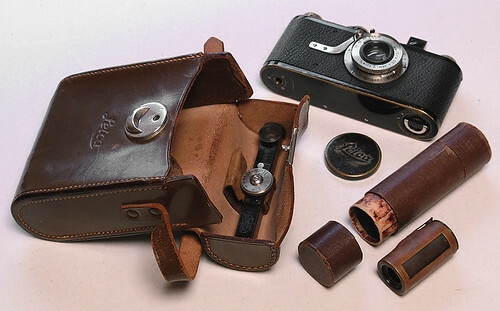 Also available for the I (A) was the first Leitz leather outfit case ETRIN that held the camera, rangefinder FODIS, and a double-ended tube for two cassettes - pictured below. This page was last edited on 15 March 2018, at 06:25.